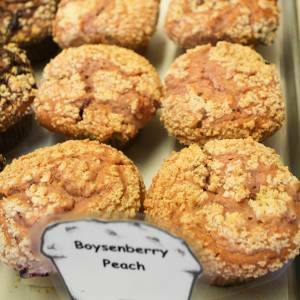 Boys love boysenberries and girls love peaches. Frank knows that. So when your children are likely to argue about one getting one thing and the other getting something else, well, you can get them uni-gender muffin and nip that argument in the bud. Problem solved, plus, you can’t argue with deliciousness.